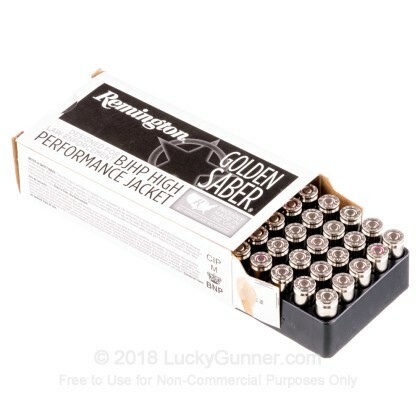 Like the sword they were named after, these 9mm Golden Saber rounds are designed to cut down any threat to your person with keen efficiency. 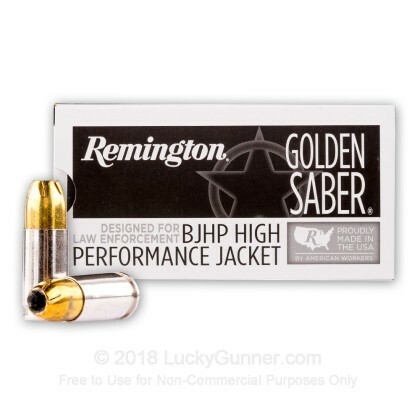 Remington's Golden Saber hollow point projectiles feature hard brass jackets, wide-mouth openings, and unique spiraling serrations. This combination of features ensures deep penetration, devastating terminal ballistics, and massive expansion. At 147 grains each, these bullets pair well with suppressors due to their subsonic loading. 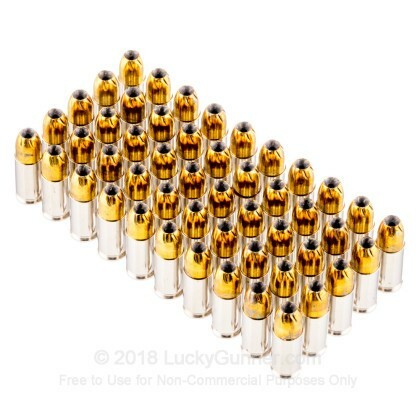 Each hollow point bullet is crimped into a reloadable brass casing with a non-corrosive Boxer primer as well as a slick nickel coating for smooth cycling and corrosion resistance. 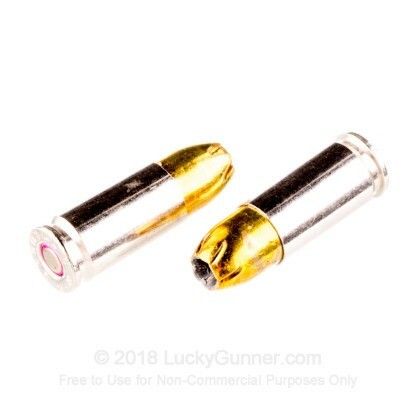 The sum of these features is a 9x19mm round with great longevity, both on the shelf and in carried magazines, that delivers threat-dropping energy to a target. 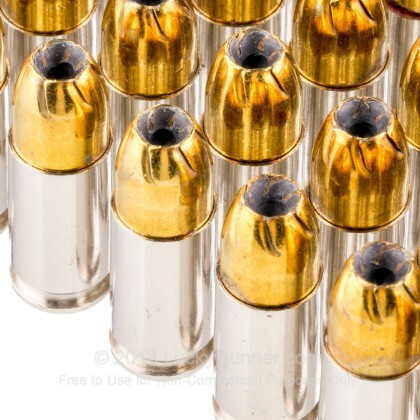 This bulk case of 500 rounds allows a shooter plenty of periodic practice for familiarization with a consistent recoil impulse. Remington is currently the only major American manufacturer to produce both ammunition and firearms. Their experience designing calibers, answering military contracts, and serving the shooting public for over 200 years grants them a hold over quality control and performance that is rarely duplicated. 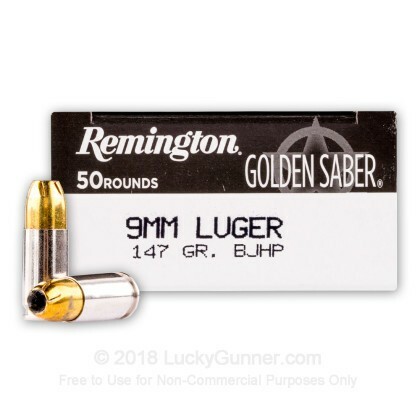 We also have this 9mm - 147 Grain BJHP - Remington Golden Saber - 50 Rounds ammo in stock in a smaller quantity.